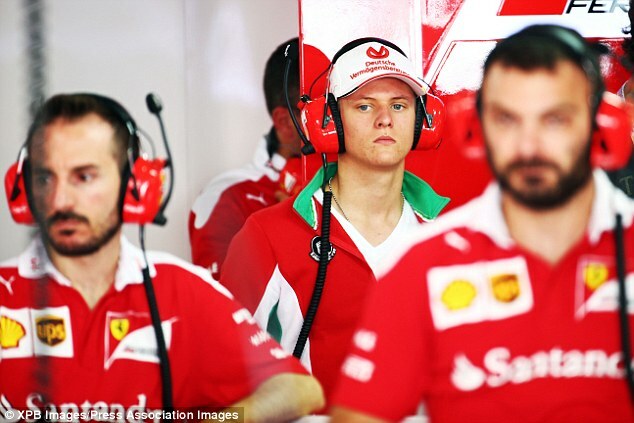 It's been a long time since Formula One saw a Schumacher in the Ferrari garage at a grand prix event. 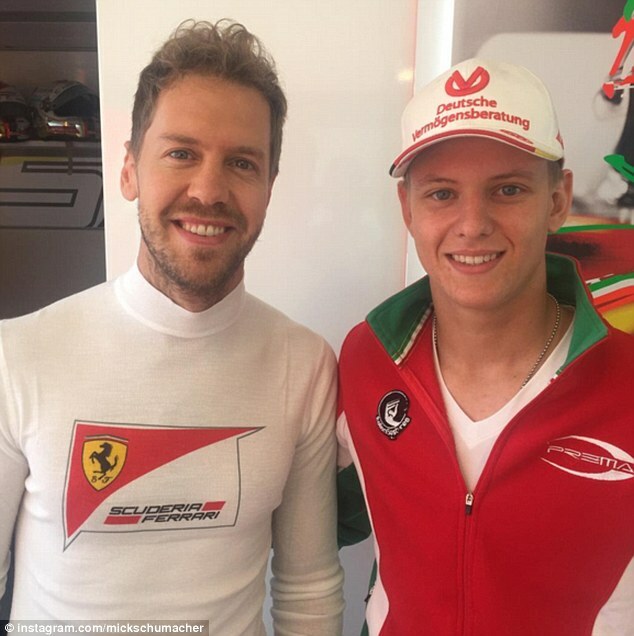 But 10 years after Michael Schumacher last raced for the Scuderia, his son Mick spent Saturday among the Maranello outfit as he watched qualifying for the German Grand Prix. Mick had spent Friday at another of his father's former teams as he watched practice from within the garage at Mercedes. Updates on the seven-times world champion's condition have been vague in the last two years as his family continue to maintain a private stance on the former Ferrari star's progress. Ferrari have only won one driver's championship since Schumacher left the team and their best hope in the last couple of years in ending that run has been with Sebastian Vettel. The German lines up a disappointing sixth on the grid for Sunday's Hockenheim event but looked in good spirits earlier in the day when he took time out to pose for a picture with Mick at the circuit. 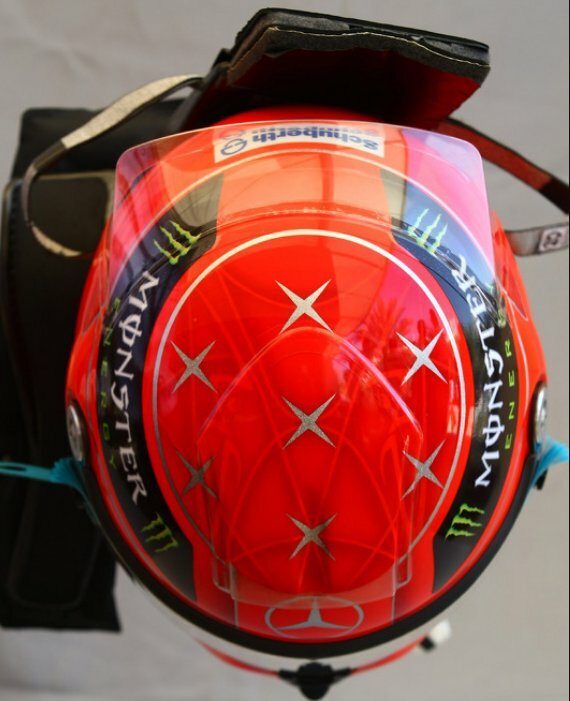 Schumacher currently competes in the ADAC and Italian Formula 4 championships, and is battling for both championships having secured three wins in each series which leave him second in the respective formats. he looks like his father, if he has half the talent of his father he will be a multiple world champion. I miss Schumi soo much! I am at awe from the way he looks like his dad. If he's half the driver his father was , damn. Yeah there's been a few photos of him from this weekend where I had to do a double take. It was great to see him there but I hope he gets left alone to get on with things because the pressure on him must be huge already. Yeah there's been a few photos of him from this weekend where I had to do a double take. Its the eyes & neck. I hope he does the Schumi leap when he wins! Mick paying tribute to his dad. 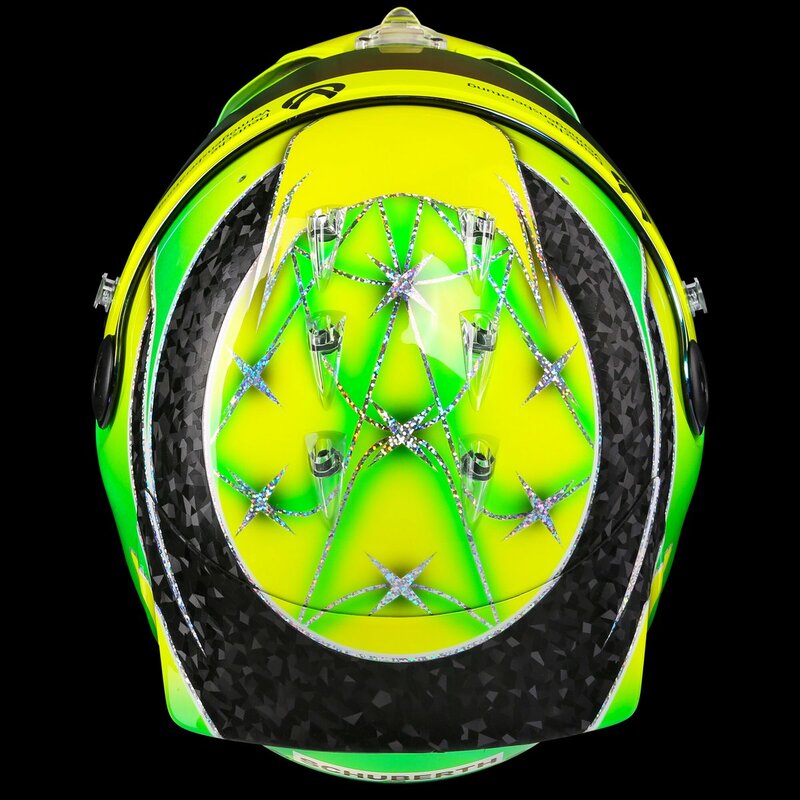 Micks new helmet.